Scientists have uncovered how tumours are able to grow despite significant damage to the structure and number of their chromosomes - the storage units of DNA - according to two new studies published in Cancer Cell and Cancer Discovery today. The research, published in the journal Nature, describes a genetic “fingerprint” for the 30% of men whose cancer is thought to be curable because it’s localized to the prostate, but who go on to suffer aggressive metastasis. deSouza said the $100 number was more a roadmap–something that would probably happen in more than three years and fewer than ten. Six customers got an early preview of the NovaSeq in the past few days, deSouza said, and each has put in a purchase order for the devices. Current breast cancer screening strategies aren’t reducing the amount of advanced cases. The researchers analyzed data collected between 2009 and 2012 from a sample of people on Medicare, the government-run health insurance program for the elderly and disabled, to see if eliminating out of pocket costs had closed the gap between rich and poor and led to more mammograms and colonoscopies. Study subjects were at least 70 years old. "One of my nightmares is people will read this paper," Brawley says, and "elect to not get treated." Mayo Clinic researchers have identified that a key drug target, CDK4/6, regulates a cancer metastasis protein, SNAIL, and drugs that inhibit CDK 4/6 could prevent the spread of triple-negative breast cancer. Amgen has announced it is to join forces with cancer immunotherapy biotech Immatics Biotechnologies in a partnership potentially worth over $1 billion to develop and commercialise T-cell engaging bispecific cancer immunotherapies. In embarking on the sequencing drive, AbbVie is following in the footsteps of rivals such as AstraZeneca and Regeneron, which have put genomics at the center of their future R&D plans. Accelerates Development of Axicabtagene Ciloleucel for Aggressive Non-Hodgkin Lymphoma (NHL) in Third-Largest Pharmaceutical Market in the World. Additional pivotal studies evaluating Incyte’s IDO1 inhibitor in combination with Merck’s anti-PD-1 therapy in patients with non-small cell lung, renal, bladder and head and neck cancers expected to start in 2017. The deal partners Kite with one of the big players in Japan’s pharma industry, and one that is committed to building up the infrastructure to produce and market these individually tailored therapies, which extract T cells from patients and engineer them into attack weapons pointed at cancer cells. 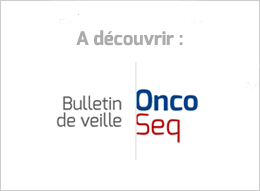 Highly strategic deal which transforms global oncology portfolio and pipeline by expanding into solid tumors and reinforcing existing strength in hematology. A medicine that cost $115,000 a year when it was launched now costs $199,000 a year, with four price increases last year alone. This may seem backward, but it actually is simple economics: the patients who stay on the drug really need it, and it's more dear to them. 30/01/2017 - 31/01/2017; European Medicines Agency, London, UK. The report analyzed 667 drugs approved for sale by the US Food and Drug Administration since 1996. Approvals hit a low point in 2008 with just 19 new drugs joining the market. In 1997 and 2015, approvals peaked at 47. “Everybody is going to be trying to figure out what’s going on with the new administration and drug pricing. Everyone’s going to be asking that question — and nobody’s going to have answers,” said Brad Loncar, an independent biotech investor. Pfizer’s latest idea for addressing the problem is the “Advancing Care for Patients Living with mBC Challenge,” a contest open to anyone who can create tech-enabled solutions to positively affect the lives of patients living with metastatic breast cancer. A survey of more than 1,000 UK-based university staff suggests that the country’s vote to leave the European Union could drive an academic exodus. Biden emphasized that he will continue to work after he leaves office to break down the bureaucratic and cultural barriers that he believes impede scientific progress. Almost 5 percent of MD Anderson’s workforce of over 20,000 is being let go as the institution struggles to eliminate operating losses. During the first three months of the fiscal year that started Sept. 1, 2016, the cancer center lost $110 million on its operations. The HARMONY project's final deliverable is a big data platform that will integrate disease information in order to better understand the diseases and how to treat most efficiently. I think that we will end up with a federated, interoperable system, but, importantly, we will try to have data that’s not only molecular information about cancer, not only clinical information about how people have been treated and the outcome, but putting the two together with a large number of patients, so that we can use that aggregated data to make as much progress as possible through the analysis of large data. The Watson for Genomics software for TruSight Tumor 170 will hit the market early this year. It will be available as an option bundled with the purchase of consumable reagent kits, the pair said. The move is the latest effort by DNA sequencing companies to try to get doctors outside major cancer centers like Memorial Sloan-Kettering Cancer Center in New York or M.D. Anderson Cancer Center in Houston to try to scan patients' DNA.